As usual, we require Dan grades to make ukemi on the New Year Course. Please contact the office if you can attend. 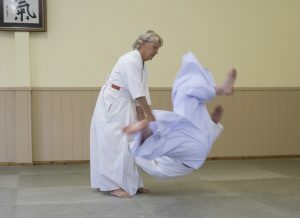 Would teachers please contact Sensei Margaret if they wish any of their members to re-take their Dan Grading this year. Shakir Absur-Rahman has now opened a new club - Sopwell & Verulam. Best wishes with your new club. March 10th: Brixton, London - area course with Kyu grading. 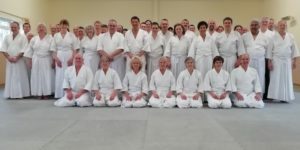 April 7th: Open HQ course with Kyu grading. June 3rd: Dan Grade HQ course to cover basic 9th to 16th forms. We have a member from the Canadian Federation, Emily Aspinwall, who is travelling over to England for the 3rd Dan and 4th Dan group courses on 24th & 25th February. She is enquiring if anyone could give her a lift to H.Q. from London on the Saturday morning for the 3rd Dan Group. Also, if someone attending the 4th Dan group could take her back to London on the Sunday. If this is convenient for anyone please email Sensei Margaret. The office will then pass Emilys’ email address on, so that you can make arrangements between you. We have a number of Dan grades on the waiting list for another Ki Therapy Course this year. If any other Dan grades are interested, please send your name to the office, so that dates can be arranged.